Purpose or Function: Mission: The mission of the Texas A&M University-Corpus Christi Library Committee (ULC) is to provide input and guidance to the library on policy and strategic matters. The ULC, as representative of the faculty, continually communicates, supports and upholds the services of the library. The ULC is part of the infrastructure supporting library operations, programs, services and information resources. The ULC strives to represent the diversity of disciplines and cultures in the university community. Use your IslandID user name and password. Faculty and Staff will be required to set up dual authentication through DUO for off-campus access to university resources. 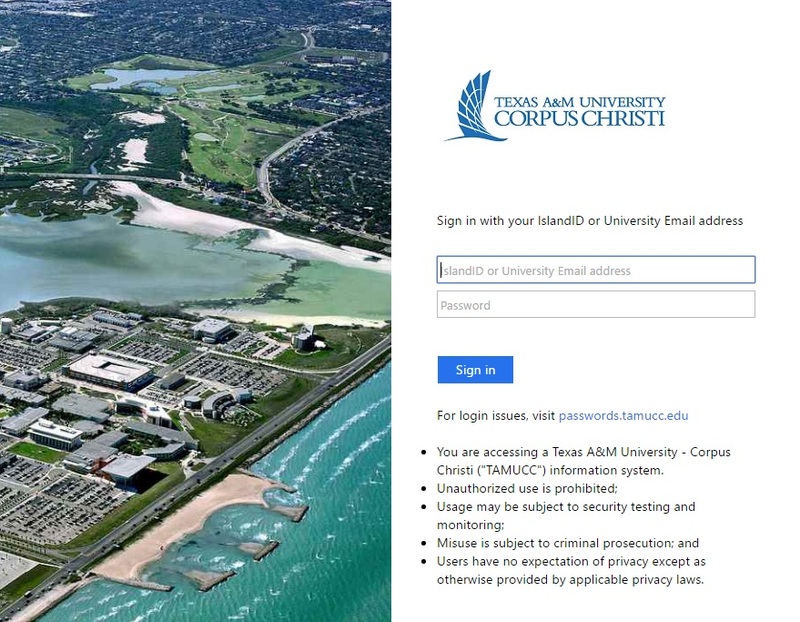 Visit https://passwords.tamucc.edu for instructions on getting or resetting your password. The user name and password are the same as those needed for BlackBoard, Active Directory, and Outlook email access. For user name and password assistance, call (361) 825-2692. For non-password-related assistance with accessing library databases, call (361) 825-2609 or email Ask Us. If you are in need of Library Technical Support, please refer to the following link: library.tamucc.edu/dept/systems/systems.html.